Rabble.TV is a new kind of television experience where users are in charge of the audio. The Rabble website and app deliver social audio for everyone from sports fans tired of listening to national broadcasters mangle coverage of their favorite teams to reality show devotees looking for expert or funny commentary to accompany their favorite shows. All Rabble.TV's content is user-created and user-filtered. Broadcasters wanted. Mute. Mic. Rabble. NASHVILLE, TN - Apr. 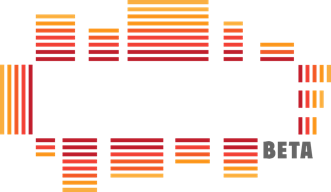 6, 2015 - Rabble.TV today announced the official launch of its free, community-driven, live audio streaming website and app. Targeted at sports and television fans, Rabble lets users create and find alternative audio options for their favorite sports and TV shows. Rabble provides sports fans a unique and interactive way to experience game day with their favorite teams. Instead of listening to the canned network audio, users can hear games broadcast by actual fans - or they can chose to broadcast the games themselves. "There's a groundswell of sports fans who are tired of national sportscasters spouting clichés as they emotionlessly call games that matter to us," said co-founder Ryan Tyrrell. "Rabble allows fans to take charge of their game experience by giving them the ability to create or listen to live broadcasts from fans just as passionate as they are. Rabble is more than just an audio platform - it's audio democracy." Rather than attempting to replace existing network anchors with another stable of professional broadcasters, Rabble has opened their broadcast platform to the public, and will allow anyone to broadcast on their site. Users vote on the best content, and the community itself determines which broadcasts rise to the top. That content may be an alternate audio broadcast of the game of the week or a comedian riffing on an episode of some obscure reality show buried in some dark corner of the cable guide. Realizing that many television viewers are as fanatical about their favorite shows as sports fans are about the teams they love, Rabble creators have also built in functionality for users to create broadcasts about movies and shows directly from a built-in television guide. Rabble was created to meet the communication needs of modern sports and television fans, who are already engaging with one another during the games and shows they love via social networking sites, message boards, and text conversations. Rabble aims to combine all of these extraneous second screen activities into a single game or show thread with the added benefit of being able to replace or augment the existing audio. Rabble is a community driven social audio platform that allows users to broadcast and discuss their insights and opinions about live sports and television.